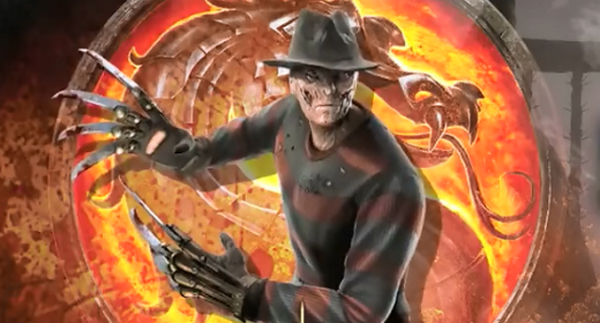 Suggested by Destroyer Freddy Krueger is a reasonable fighter, but that’s about all he has going for him. Typically he is fighting opponents who can’t really fight back anyway. Meanwhile Peach has some good hand to hand attacks. She can use her crown as a blunt object to deal even more damage and also has her Shadow Queen abilities to fall back on. Peach is too fast for Freddy and while putting him to sleep may be impossible, she can beat him in a fair fight without needing that move. Peach wins. Suggested by Sonic Bowser always kidnaps Peach, but is he really a match for her? This is where things get interesting. In her Shadow Queen form Peach was able to manipulate the shadows quite well (I guess that goes without saying though) and her regenerative abilities were impressive as well. 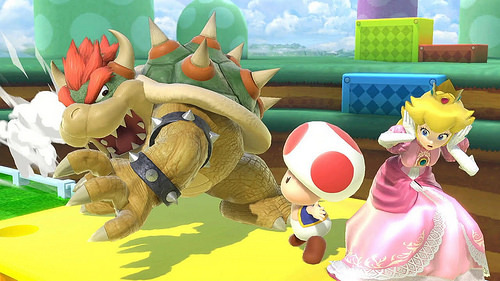 Bowser is strong, but he’s not the best at engaging in mid range combat. 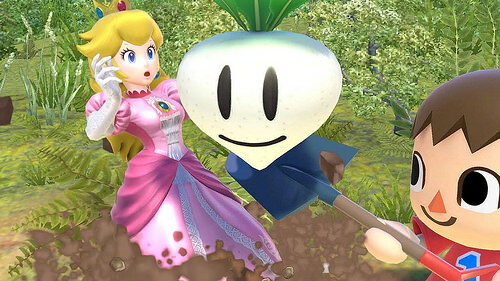 I think Peach would be able to counter his blows. Bowser has a lot of power but it simply won’t be enough in this case. Peach lets herself get kidnapped to give Mario something to do, but when she is serious Bowser had better watch out. Peach wins. Suggested by Sonic Villager is a pretty nice kid who knows how to use all of the gadgets at his disposal. Underestimating him would be a mistake. That being said Peach has her Shadow Queen form. In this mode she can easily block all of Villager’s attacks. He has no means of damaging her and I don’t think it would take many of her moves to bring I’m down for the count either. The gap in their abilities is simply too wide. Perhaps he will do better when he is a little older. Peach wins. It’s time to look at a big Mario game from back in the day. This was the finale for the Paper Mario franchise and Nintendo wanted to end it with a bang. Crossovers and the like would still happen but we weren’t going to get another Paper Mario game for a long time. Supposedly the ending was so sad that you would be crying in the end. 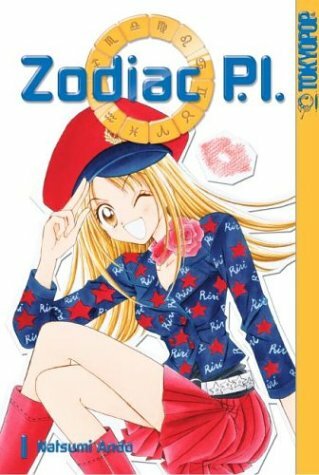 Well, I knew that this wouldn’t be the case, but I was hopeful that this meant we would be getting a super crazy awesome story. Unfortunately that was not the case and the game started off better than it ended. The story begins with Mario and Peach deciding to take a vacation since their last outing in Mario Sunshine did not go so well. Unfortunately Bowser shows up and kidnaps Peach. He also steals all of the paint from the world. 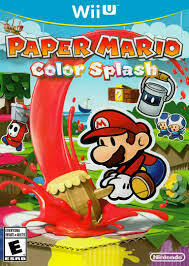 Mario meets up with a Paint Can named Huey who explains that the only way to bring the color back into the world is to grab the 6 legendary Paint Stars. Once they do that they can worry about saving Peach. Mario isn’t thrilled about putting off his quest to save Peach, but he quickly gets on board just in time! As you can see this game probably has the weakest plot among the Paper Mario games. 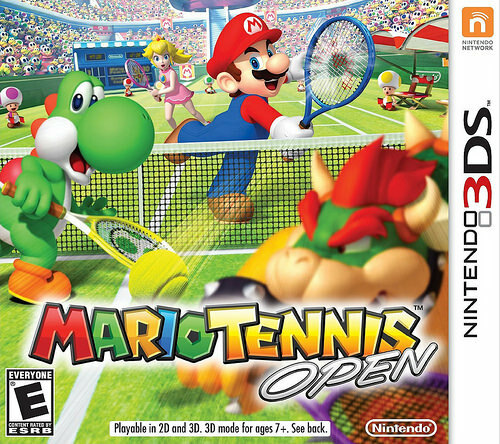 The 3DS game gives it some competition but considering that this game basically ripped the plot from it, I’ll have to give the original the edge. The thing is, Paper Mario’s usually been solid because it could have ambitious plots and threw in things that you would never see in the main series. It’s just a shame that this has been taken away from it and now it’s just like the main games, but with the gameplay not being as good. Yes, this game decided to follow Sticker Star’s example. The only difference is that instead of using stickers you have stamps in this game. For all intents and purposes they are quite similar but the main difference is that obtaining the stamps is a lot easier here which is good. We even have the “Things” back from the 3DS game which are large objects that you use to interact with the levels. You better grab them all since the game forces you to put them to use right away. What wrecks the boss fights in this game is that they each have a moment where it is impossible to hurt them. The only way to clear each boss fight is to have a very specific thing in your hand to overcome the villain. If you don’t have it then you are doomed to lose and the game will never tell you that you need it until you are near the end of the fight. That can be a little annoying since by then you’ve already spent quite a lot of time on it. The levels suffer from this as well since the same thing happens a lot. You spend a great deal of time in the game just travelling back and forth among the old levels when you just want to proceed. Some also force you to redo obstacles whenever you go back which throws you into a bunch of extra fights. The core gameplay isn’t bad, it’s just that these puzzle aspects really hold it back. Running around the levels is fun enough as it’s just like a traditional 3D Mario game. The turn based combat also works as well as ever. The paint is what’s unnecessary along with the stamps. I just want to be able to fight like the good ole days of the Thousand Year Door. There are too many limitations in the newer Paper Mario game and the puzzles punish you for moving too quickly and not finding every possible Thing in each level. Now, what I will give the game a lot of praise for is its stellar soundtrack. This is easily the best soundtrack I’ve heard in a Mario game and it can hold its own against any title. The boss themes are a lot of fun and so are the various remixes like the one Bowser gets as well as a certain Kaiju one. The music is always very fast paced and works well for what is happening on screen. It’s just very lively and is really what you want to see in such a game. The graphics are also fairly good. They’re not great since the game is made to look like paper so everything is slightly worse than it could be, but it’s intentional. The character models as well as the stages are still quite clear. Huey is the game’s original character, but he’s definitely no good. He’s essentially given the personality of a very little kid and is Nintendo’s way of trying to play to the audience. He always exaggerates every emotion and seems to be feeling what you are supposed to feel during the game. When something bad happens he gets super upset or he’ll start crying when it’s something sad. He’s just unrealistically emotional and is just annoying the whole time. He can’t even be straight with everyone at the end of the game. Huey is super dramatic and not in a good way. How about that super sad ending Nintendo talked about? I wouldn’t say that it was very sad at all. Again, it’s ripped off from the 3DS game, but not even handled as well. Sticker Star’s ending was more emotional but also a lot better and still kept in the sad element while not being overly tragic. This one was just less emotional and also came across as rather forced. It also makes Peach look pretty bad because she doesn’t care at all and Mario’s the only one who shows any emotion the whole time. The ending should have just been the gang inviting Bowser over for tea and biscuits. At least the dialogue can still be pretty fun like in the other Paper Mario titles. There are a lot of parodies or homages to old Mario titles throughout. The characters all have more personality than normal and the writing can be clever. As I mentioned some of the writing is just a little too obvious with Huey but everyone else seems pretty reasonable in comparison. After completing the game there is still a bunch of stuff to do. There is one more star you can obtain and there are also the 8 Roshambo temples. Since those temples are purely luck by the end you’ll need a lot of tries to complete them. You can also build up your paint meter in the meantime as well. Actually, I guess the replay value isn’t amazing when you think about it, but it’s a start and since the main story is so long you don’t need much of a post game. Overall, Paper Mario is really just held back by its gimmick. If you take away the Things and the paint then this would be a very solid title. As it stands, those aspects make it very hard to enjoy the game. Every time you have to go back to an old level to find something it completely destroys any momentum you may have had. The game is over 20 hours long which is usually great, but instead the game seriously starts to drag on in the second half. You’re just ready for the gang to claim the win already. I’d recommend checking out the Thousand Year Door before this one. That game will be more fulfilling in the end. At time for a new title courtesy of MyNintendoRewards! 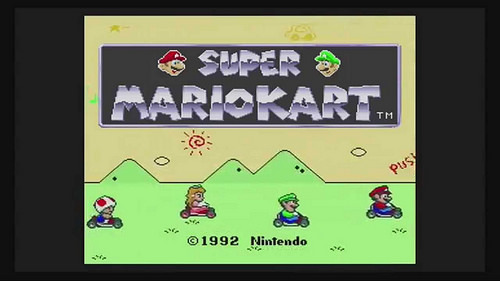 Super Mario Kart is one of those games that is so iconic you are almost afraid to play it. After all, the game was a living legend for a while but since then we have gotten many more Mario Kart games, all of which have improved on this one’s formula. Still, it’s a game that needed to be played and I’ll bet you dollars to donuts that you will still enjoy it. The game holds up mighty well and is a good game to add to your virtual collection. There is no plot of course and there are really two main modes for single player. They are the Grand Prix and time Trial. For multiplayer you also have races and then even battle levels which is cool. There is a reasonable amount of content her all things considered and local multiplayer always ensures that the game will retain a considerable amount of replay value. For the grand prixs there are 4. The cups have become iconic at this point as you always see the Mushroom, Flower, Star, and Special cups kick in. While most of the newer games limit the cups to 4 races each this one goes with 5. That’s likely because each individual stage is quite short here. For that reason all races are 5 laps each as opposed to 3. A lot of the levels will seem familiar to you if you’ve played the newer Mario Kart games since they usually pay homage to them by including the levels in the games. This one definitely thought of a considerable amount of creative levels. In particular I liked the Boo stages as well as the Bowser ones. Those are definitely very atmospheric while racing. Naturally this wouldn’t be a Mario game without having a dynamic soundtrack as well right? The level themes are all quite solid and have held up pretty well over the years. No expense was spared here. Then the graphics are also pretty bright and nice for its time. They’ve also aged well and it’s never hard to see where you’re going. At most pipes may appear to be farther than they actually are but that’s why you can’t trust the rear view mirror. I would have to say that this is probably the most difficult Mario Kart game that I’ve played as well. Mainly this is due to the controls which are naturally a little rougher than in the newer games. I couldn’t quite understand the drifting feature all too well as my car would go too fast. Ultimately when I had to turn I would either slam on the brakes or let go of the acceleration button. There are workarounds like that but of course you will lose speed so be careful. Since you need to win the first 3 cups to unlock the last one failure is not an option! Harness the access points that the Wii U gives you and you’ll be fine. Aside from the Grand Prixs you will probably spend most of your time in multiplayer mode just enjoying a bunch of racing games. 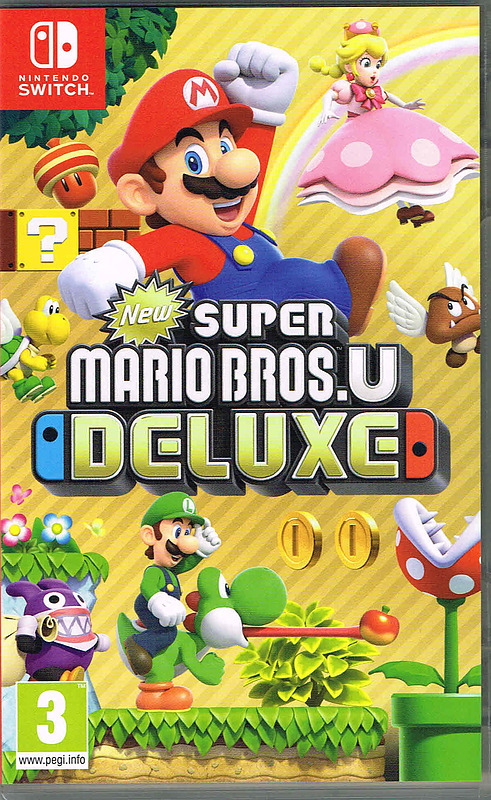 You’ll likely want to move on to the newer ones at some point, but it’s also nice to just experience the game in its original form. There is also Time Trial mode, but there isn’t a whole lot to do there. I suppose if you really enjoy the levels a lot then that is a good way to play them and also to hone your skills. Naturally there isn’t a whole lot of other things to say about the game. It’s a really good way to spend 4-5 dollars though. You really can’t go wrong with that price and while the MyNintendo Rewards can certainly be a little larger, they have gotten better than where they were. Since obtaining points is rather easy thanks to their apps, you are basically guaranteed a 50% off deal on any game from the list that you want. When you see a good game on the site just be prepared to snag it! Overall, Super Mario Kart isn’t just a game, it’s a racing game! It’s a title that really changed the genre as we know it and is still regarded as one of the all time greats. While I tend to really enjoy racing games like F-Zero which have no items so it’s just you and your boost, these can be a lot of fun as well. Double Dash will always be the best Mario Kart but this one certainly keeps up the quality that you would expect from such a storied franchise. If you haven’t downloaded it yet then I recommend doing so. Suggested by Destroyer Spica is a good Detective or at least she has little friends who help her solve the case. At the end of the day, she gets results and that’s what counts. Unfortunately for her, Spica’s hand to hand skills are very limited and won’t help her a great deal in a fight. 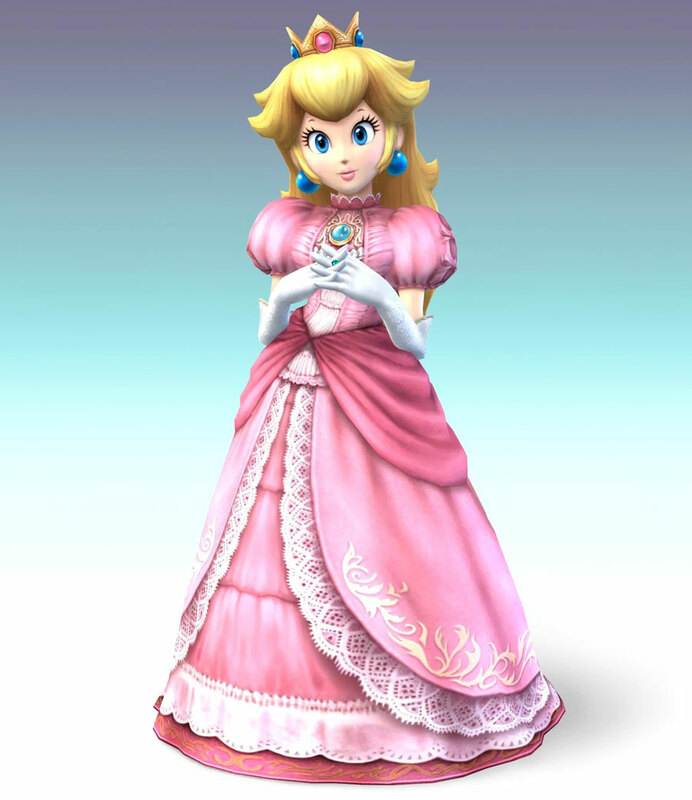 Peach is the more impressive fighter and will quickly take the advantage. Peach wins.